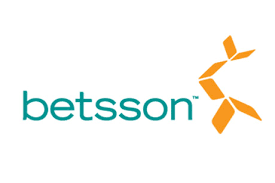 On 3rd March Betsson AB sent a press release to its shareholders to announce the acquisition of yet another online casino. This time the online gambling giant is venturing into the fast-growing Spanish market with a new brand under its umbrella called Premier Casino. Premier Casino primary focus is online casino even if they hold a sportsbook license. Their customer database is said to be at around 260,000 registered customers. Following the signature of the agreement Ulrik Bengtsson, CEO and President of Betsson AB said “Spain is one of Europe’s largest gaming markets and especially casino is growing fast. Betsson’s strategy of building and running locally strong casino brands, for example in the UK and Italy, makes me confident that we will build a leading brand also in Spain. This acquisition is in line with Betsson’s ambition to increase the share of locally regulated revenue.” Premier Casino purchase was agreed at €3 million. The sale will be concluded at the end of March 2017. The press release also confirmed that the acquisition of this new brand had no material impact on Betsson’s short-term financials, but instead will help the company to be even more profitable in long-term by securing itself a place in the Spanish market. What other online casinos do Betsson own? There’s no doubt that Betsson has always been on an acquisition path and that securing new client database is a key part of their long-term strategy. To this day the publicly listed Swedish company currently own over 19 online casinos and sportsbook operators which include, Betsafe, EuroCasino, Casino Max and NordicBet to name a few. Betsson has also welcomed its 1,000 employees this week and it is the largest employer in Malta where the company has its headquarters. The press release made not mention if Casino Premier will be relocated to the experience center located in Tax’ bien Malta, but since all operations are centralized it is fair to assume so.